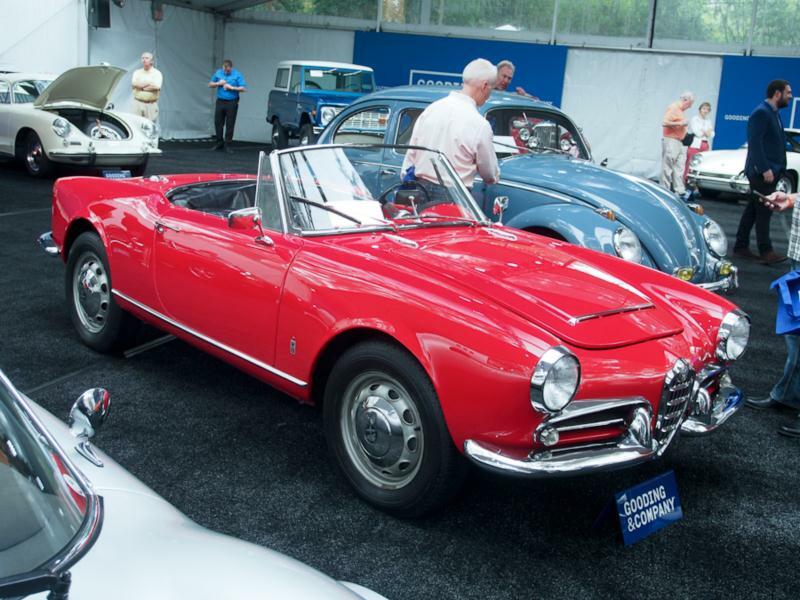 The Giulia arrived in 1962 as a replacement for the 101 Series Giuletta, and this new Scarnati-designed sedan displayed unassuming yet attractive and functional styling that provided ample room and visibility while providing a .33 CD. Motivation for this berlina was initially a 1570 cc four with 91 hp driving the rear wheels through a five-speed gearbox on the column that gave way fairly quickly to a floor-mounted gearshift just as the initial four-wheel drum brakes were upgraded to discs. Upgraded “Super” models with 97 hp and a more sporting interior followed and these were essentially detuned street versions of the racing “Super Ti” models. A 1.3-liter car followed on as a base model sedan in 1964 with 77 hp and one less gear in the box, but the big news for that year was that the sedan was now joined by the two-door Sprint GT. This elegant coupe was styled by Giugiaro for Bertone and was introduced with the same 1570 cc motor albeit within a lighter package with discs all around. In 1967 both the coupe and the sedan benefited from freshened styling that in the case of the sedan was undertaken by Pininfarina. These cars were now known as GTV 1750/2000 and Berlina 1750/2000, respectively. Underneath the new bodywork in both cars were new 1750 and 2000 cc versions of the delightful, rev-happy twin cam motor that utilized SPICA type fuel injection on cars bound for the U.S. 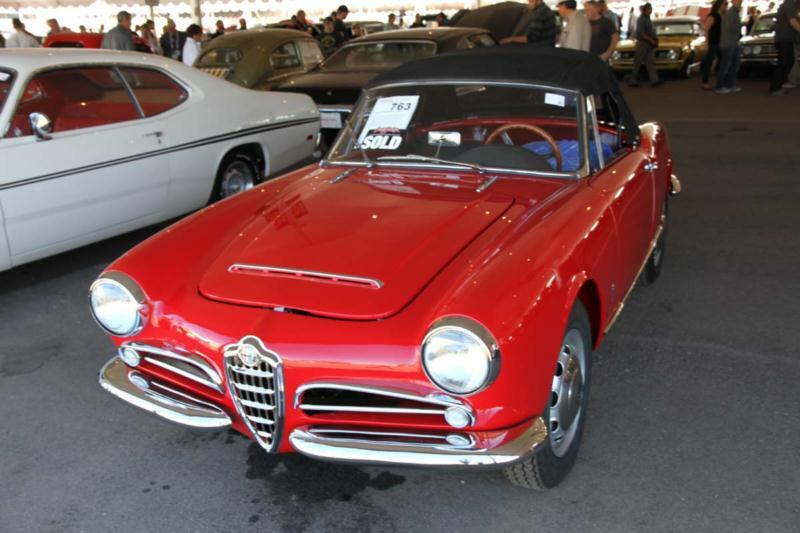 The beauty in all of the Tipo 105 and 115 Giulias is in the mechanical involvement and feel that Alfa Romeo owners champion enthusiastically as the reason for these cars being so entertaining to drive. Almost one million cars were built in ten years of production, and while the troublesome reputation for the U.S. cars’ SPICA fuel injection is largely inflated (many people have retrofitted carburetors on their U.S. market cars), their reputation for rust is not. Cars that are defining the top of the market are those examples that are largely rust free or completely restored.